The Outdoor Partners Program provides funding to protect Maine's longstanding tradition of public access to privately owned land. Each quarter, we hold a special raffle for Outdoor Partners Program participants with prizes from our supporting merchants. Purchase an Outdoor Partners decal or hat online to proudly show your support and appreciation for Maine’s private landowners. 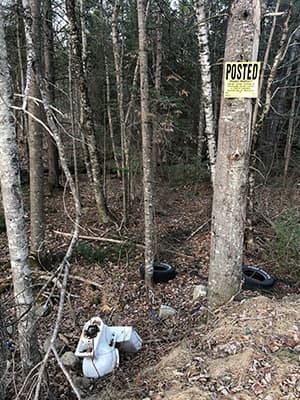 The Mission of Keep Maine Clean is to help private landowners remove litter that was illegally dumped on their property, to alleviate the costs associated with illegal dumping, to show landowners we care about them and their property, to investigate all complaints of illegal dumping, to prosecute those responsible, and to keep Maine clean and beautiful. To carry out this mission, MDIFW recruits volunteers to pick up trash in fields and forests while engaging in outdoor recreation. 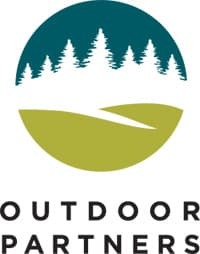 Volunteers and sponsors include outdoor recreationists, the media, businesses, and nonprofit organizations, and anyone who supports the concept of a cleaner Maine outdoors! By joining the program, you'll gain access to insider information including contests, sponsor and volunteer stories, landowner relations tips, and more. All funds donated to Keep Maine Clean are deposited in MDIFW's Landowner Relations Fund. This program, started in 2013, gives users a tangible and fun way to show landowners their appreciation, with prizes awarded to volunteers who pick up the most truckloads of litter. Each year, on 100+ sites, volunteers have picked up more than 1,000,000 lbs. of trash including 1,000-2,000 tires.